Our Mission: To bring comfort to ferrets everywhere, whether they are in shelters, sanctuaries, or forever homes. To bring peace of mind to ferret owners, foster parents, and shelter parents in knowing that their “tenants” are warm and comfortable. Because, in a failing economy, the last thing these wonderful ferret friends and parents want to worry about is having enough bedding for these wonderful little bundles of fur. Thank you so much for helping us out, I really appreciate it. Tell Karen the crinkle sacs passed- inspector Frankie loves them. Frankie (my paralyzed ferret) has already tested out the crinkle sacs and stashed the toy you sent. Please thank everyone who worked on the items you sent us- every piece will be used – we use an insane amount of linens every day. Thanx to all again- the ferrets are enjoying the bedding. I am happy to say that the pocket hammies they sent us several years ago are still in use after many, many washings, as well as the adorable sleepysacks! I know how much time, dedication, and financing such a project takes. Crafty Weasels, for YEARS now, you have given & given to shelters in need. You`ve bought the material, spent the gas money to drive from afar on sewing day, and even footed the bill for the postage to send it. All at no cost to the shelter ferrents. All out of your love for the animals. All with little to no recognition… A simple thank you note is not enough. You cheered up a shelter mom who had sat up all night with a sick baby. Getting that box was encouragement to go on. Seeing the little ones all cuddled up in their new pocket hammies made a ferret dad smile. But most of all, you gave warmth & comfort to so many sweet, sweet little babies—everywhere. Thanks so much for the pretty new bedding you sent our furchildren! I love the bright colors, and the babies love the comfortable feeling it provides. Imagine my surprise to go to the post office today and find a wonderful present for our shelter kids. It seems bedding is always in such short supply these days, with the huge influx of homeless fur kids we have had. It is terrible that this economy is hurting so many innocents, confused little pets who have no idea why their owners have dumped them in a shelter. I love the little sling, your timing is perfect!!! Recently, a little six year boy came to us. We did not expect him to live, the other ferrets in his business were just walking all over his lifeless body in their cage. He was rushed to the vet, and diagnosed with an inoperable spinal tumor that is most likely malignant. I did not have the heart to send him to the bridge…not yet…something in his eyes begged for understanding. I had him put on steroids and pain management. That was three weeks ago….today, Mr. Bigglesworth has put on weight and is able to drag himself…rather quickly and efficiently, on his hips. He stashes toys and chases the kitty now. The light in his eyes and the love in his kisses tell me I chose right. Biggs follows me all around the house…when he can keep up. He LOVES his new sling…cause now he can follow shelter mom all over and beg for treats, which he has become very good at LOL! I am attaching a picture of our sleepy Biggs…and my sincere thanks for your thoughtfulness. What a great surprise to receive a huge box of bedding from the sewing wizards at Crafty Weasel Bedding! The bedding is beautiful and is greatly appreciated by myself, my rescue partner, and all the little ones in our care. OMG TY /cry. Our washer blew up. These were sorely needed. Thank you so much. We had to help my 10 yr old, Pontoof, to the bridge a few days ago and I have another one about 9 going down and the sling is badly needed. Thank you, thank you. I am crying tears of joy. I am just overwhelmed and very emotional right now. You Crafty Weasels are a godsend and when and if I ever get caught up I will do what I can to help you. Maybe send you the ferret Christmas stockings I make to include in your Christmas send outs to shelters for the director/owner. They’re awful cute. But I can’t sew. I wish I could. Please expect your hand/paw made thank you card in the mail as soon as I can get a handle on things. The package arrived and last night I put the new hammocks in the cages. The boys should feel like they’re in a palace of luxury today! They fit very well in the cages and the plushness is amazing. Thank you for the extras. I used the sling for Skippy last night. He’s an oldster and has adrenal and insulinoma. Somehow he got in the bottom bin of one of the big cages (I suspect he had ‘help’ since he coudln’t do it himself) and because he is blind he couldn’t get out because he ran into the high sides in every direction. His glucose was low from stress so he spent some time in the sling, then after he has an accident in it later in the evening it went down to the washer while he slept in the sleep sack. The hammocks are perfect and I’m sure both cages of boys are very comfy today. (A few months ago someone posted a news article on the FML about a military man that loved ferrets that had just died in Afghanistan. He and his wife lived in California and they had pics of him with his ferrets. We did a bit of research and got their address and sent a message to his widow letting her know that the Crafty Weasels wanted to give her a gift for her ferrets to honor her husband who had died on foreign soil so far away from his ferret family. This Nikki Barnett and I just wanted to say thank you so much for the ferret beds! Kodo, Angus and Mickey absolutely love the beds. I put them in right away and all 3 immediately left their old beds and have been using yours since. I was so touched by your gift to them, our ferrets were Scott’s favorite pets. We were waiting until after his time in the Army was done before we had kids of our own so our pets are our children. Scott would be so happy to know that somewhere out there someone was thinking about his beloved ferrets enough to make them beds that they are so happy with. Our first ferret, Kodo, the white ferret, was his baby and Scott was always so worried about him and as he got older when Scott was away in training Scott would ask me to check on him before bed each night and make sure he was warm enough because he was always so worried about him. Kodo has taken a liking to the hanging hammock you sent, he loved his hammock but he also loved to hide in fleece fabric so this one provides him with both of his favorite things and keeps him very warm. When I look into the cage and see him curled up in it with only his little face sticking out all I can picture is Scott’s smiling face because I know he is looking down happy that someone out there other than me understood his bond with our ferrets. Thank you again for the beds, that was very sweet of you to send them. To me and Scott that would be just like someone sending a quilt to a child who lost a parent and I can’t thank you enough, the ferrets really enjoy them. The box arrived yesterday!! I love everything!! And that shoulder sack will come in handy because I have a lot of sick ferrets that I carry around all day in my arms. I can’t even express how much I appreciate this. Everything is made so well and they are so cozy. I’m going to show the bedding to the people that adopt from me, I’m going to give them your card, and I’m going to recommend that they contact you to purchase their bedding. 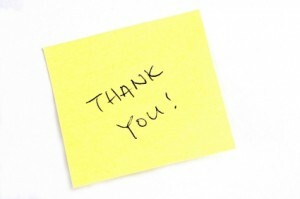 I’m also going to post a thank you on my website to all of you, and I’m going to put a link on my site directly to your site. Thank You Thank You Thank You to Crafty Weasels of Georgia!! We received a huge box of wonderful sleep sacks, pouches etc. from them today for our elderly & ill ferrets! Our precious babies will be snoozing in comfort now!! [Regarding a donation to help with their raffle] We had no idea we were receiving them and were so surprised!!!! They are soo nice and we’re very very pleased w/the quality and the thoughtfulness that u sent them to us.they glow w/all the love that is sewn into them. We would looove to keep them ourselves. (that is the hard part of all of these wonderful donations)…but we’re not going to allow ourselves participation since it is to help us. Whoever decided to stick that whippy 3 ended thing made out of fleece caused a chaotic free for all that has lasted a week in this house. Lol!!. The fursnakes (even the 10 yr old one) are actually FIGHTING over it. I am having a hard time keeping it where I know where it is . Lol..ya’ll have no idea how much joy you have brought the babies here w/that thing. What is it called? Lol. I so wish I could sew. Thank you soo much and your hand/paw made thank you card is in the mail already. Please forgive me for not contacting you sooner to thank you & let you know that the donation package of goodies arrived safe & sound weeks ago! I have been without internet access & am disabled. My sincere thank you for all of the fabulous new sleep sacks, toys & medical supplies! All were put into use immediately! Had been awhile since my business had received fancy new fleece lined hammies & sleep sacks & I have 14 ferts that love ya’ll very much for your gracious donation & for thinking of us & providing us with such needed aid! Thank you, thank you, thank you! Can’t thank you enough! We have received the bedding and we greatly appreciate it!!! I took it to the meeting last night and everyone was very happy with it! Some of it was passed to our foster parents and the rest came back to me as I am the one with the most ferrets going in and out of the shelter. Also when we adopt out if a ferret has a favorite hammock or sack we always try to send it along with them to their new home. We feel it helps them with the transition of a new home. Not sure if it really does but we like to think so. Bedding is always in great need because of that. We will put the sling to test on Sunday at our fundraiser. Our little Winken will be the test subject for it. He is an older guy and blind as can be. He loves to snuggle. We received our package and wanted to thank you for all your hard work. The bedding is all so beautiful. OMG but this is AWESOME bedding as usual. Such lovely colors & soft/warm hammies/sacks to match. My crew is ever so thankful to all you caring ladies. The sling for the sick baby is just a blessing.It will sure be used & I wish I’d had it with Nancy. This will help so many shelter ops out there. Box arrived! So many beautiful things in it, we are in overwhelm. I intended to get a note off to you right away but had a family crisis over the weekend and have been mostly on the road the last few days. Please accept our electronic thanks in the meantime. I wanted to let you guys know I received the box of bedding today, and I am speechless. 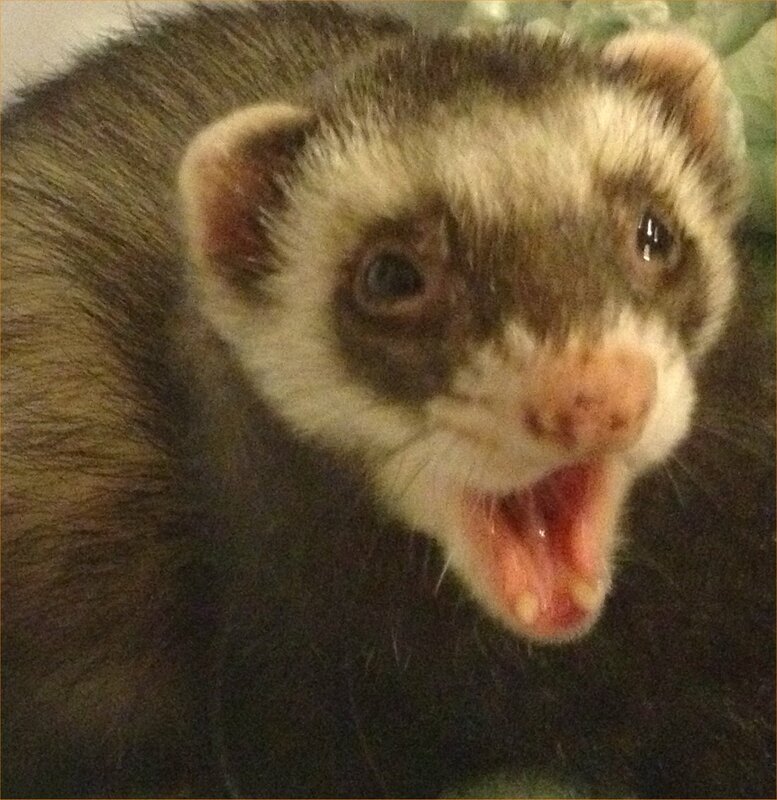 The ferrets are not however, and they are sending you many dooks of excitement and delight!!!! This is an amazing and wonderful thing that you guys are doing to help, and it means more to me than you can imagine. At times you see so many bad things with the way people treat their pets, it is easy to forget how much good is out there too. Thank you for helping to remind me that there are many truly caring people out there. Caring people who truly want to help, and I thank you for that. I Just received your box of goodies. WOW! I had no idea. This is a gift from heaven for me. The sacks and bedding I have is over 5 to 12 years old and nothing is free of snag strings. Your bundle of love is just what my kids need. Thank you all. I have attached some pictures of the fuzzies pulling out the goodies and digging in the box. OH MY GOODNESS!!!! I am SOOOO glad that you contacted me! We DID receive it, it is awesome! You guys just rock! I got the bedding today and oh my gosh! It’s gorgeous! Thank you SO MUCH! That’s just so awesome that you are out there doing this for shelters! I’ll have to get some pictures of it in use to send.